Dental implants are a life-changing and lasting solution for your missing teeth. Perhaps your greatest benefit of getting implants is that they look and feel much like natural teeth do. Unlike other tooth-replacement procedures, implants allow you to eat, talk and laugh with confidence. Choosing the treatment also helps you preserve your supporting bone and prevent facial collapse, making them the preferred choice over options like fixed bridges or removable dentures. And unlike conventional bridges, you don’t have to file down healthy tooth structure to anchor your new restoration into place. An implant is so strong, that it can support more weight than your healthy teeth, which is why many dentists recommend using implants over a bridge or even a denture. When you choose dental implants, you can feel confident knowing they are a safe and effective way to replace your missing teeth. The surgical procedure has general risks, including implant rejection in very few cases. These instances are rare, and when you take great care of your implant and surgical site, you can help to ensure yourself against these complications. Best of all, your implants never get decay or need a root canal! Caring for implants is as easy as cleaning your real teeth: brush and floss them daily, and schedule routine preventive care appointments. As long as you keep the gums around them healthy, as many as 98% of implants can last for the rest of your life. Trust a dentist with nearly 25 years of surgical and implant restoration experience. Dr. Kostirko has been awarded a Fellowship with the International Congress of Oral Implantologists (ICOI). With his ability to combine artistry with science, you can trust him to deliver absolutely spectacular results; restoring your teeth and mouth to full functionality and a healthy appearance, regardless of the level of existing damage you might have. Receive comprehensive implant placement and restoration right here with your trusted dentist Bloor West. That means fewer appointments and less time off of work! Contact us to learn more about our dental care services or to book your appointment today! 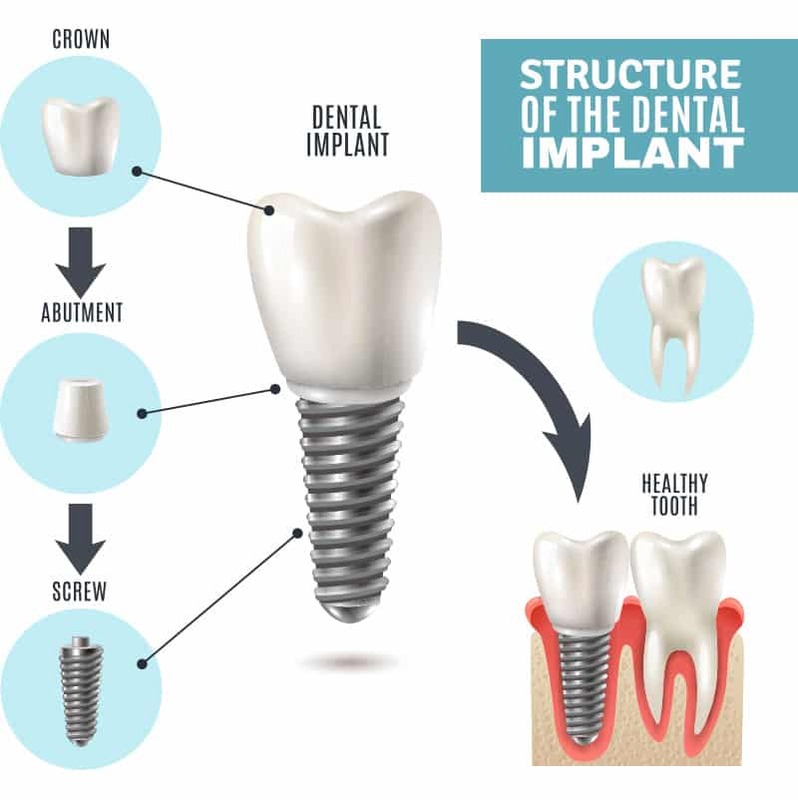 Contact Bloor West Smiles now for a Free Consultation regarding your dental implant needs.